The holidays are a busy time for affiliate marketing agencies and programs like Nite Ize. The innovative products that Nite Ize makes are popular across a wide variety of audiences and make the perfect small gifts or stocking stuffers. Products from Nite Ize are born from an idea – an everyday problem that wouldn’t exist if you just had a gadget to do this one specific thing. Give the gift of satisfying that need to your office mates, friends and loved ones this season. Or suggest them in your holiday gift guides. Different audiences love Nite Ize for different reasons! No matter what your audience, you can find at least a handful of products to feature and reasons they’ll love them. Moms love Nite Ize for their safety and visibility products. Outdoor and adventure sites love the camping accessories. EDC and preppers love the flashlights and keytools. Animal lovers are drawn to our dog toys and safety products. Not making a gift guide for a specific audience? Check out the BugLit. It’s safe and fun for kids, handy and useful for adults. It’s even a perfect office party gift! The BugLit is a powerful micro LED flashlight with an effective range of up to 50 feet, and one-mile visibility. The securely attached “legs” are two flexible, fully moldable Nite Ize Gear Ties, which can be bent, wrapped, or twisted in many configurations, to sit, stand, store, or shine the white light. The legs can be wrapped around the body for compact storage and transport. 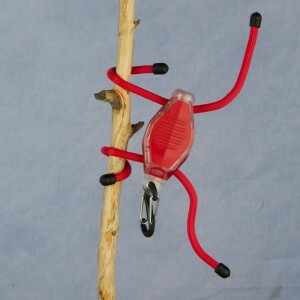 And, finally, it comes with a lightweight plastic S-Biner clip that enables you to attach, hang, or store the BugLit for convenient access on zippers or keys. With so many popular gift options, it’s a great time to join the Nite Ize affiliate program or to activate your account, and let your readers know about these products. Nite Ize affiliate partners earn 12% commission with a 90 day cookie and have access to affiliate-exclusive coupon codes that are offered monthly. All prepper, EDC, outdoor, bike, pet, LED safety and gear related sites are encouraged to apply. Make your holiday gift guides or recommendations soon! Here is more information about affiliate marketing agencies and the services Versa offers.